The new measurement microphone TG MM1w and the digital TG 1000 wireless system provide the basis for extraordinary sound design. Heilbronn/Germany, July 2016: The british singer Adele is currently playing to sold-out arenas on a celebrated world tour. The elaborate sound design, with a constant focus on Adele and her voice, receives visual support from a very elegant stage design; for this purpose, optical and acoustic effects are paired with consummate style during the concert. Perfect measurement is an important element in the sound work required to guarantee impeccable audio quality, which is the top priority in this production. Because of the show’s clever dramatic concept, with sections on the A stage and B stage, it was also necessary to adjust the sound source to the respective position of the artist. The sound design allows the sound source to be panned seamlessly during the live show. Unusually, the PA equipment is significantly more extensive for the B stage, assigned as the solo centre stage, than for the A stage, which is the main stage at the head of the arena. If the singer moves to one of the stages or between the two stages during the show, the sound source will also follow her. 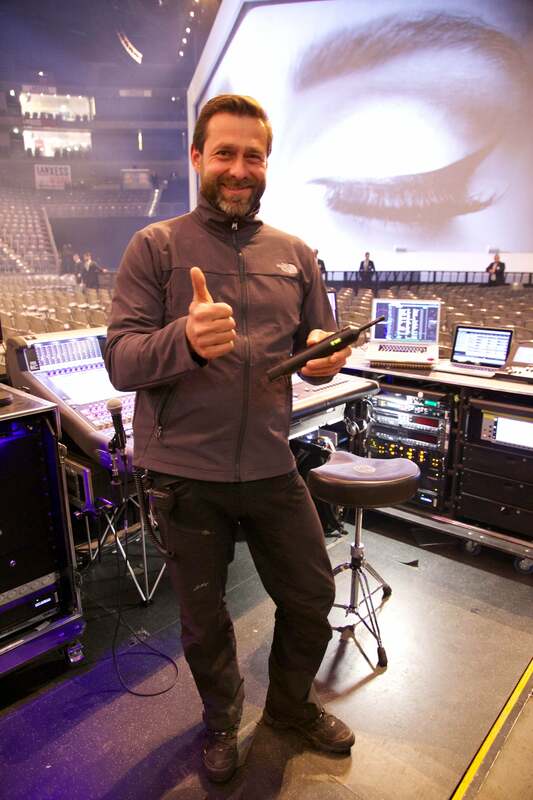 The responsibility for creating this truly impressive live sound fell to a well-proven team: FOH engineer Dave Barcey and audio system engineer Ulf Oeckel have already worked together for global stars such as Pink, Cher and now Adele. In order to measure the PA systems of both stages (A stage 270° and B stage 360º), Ulf Oeckel is relying on the new beyerdynamic TG MM1w. 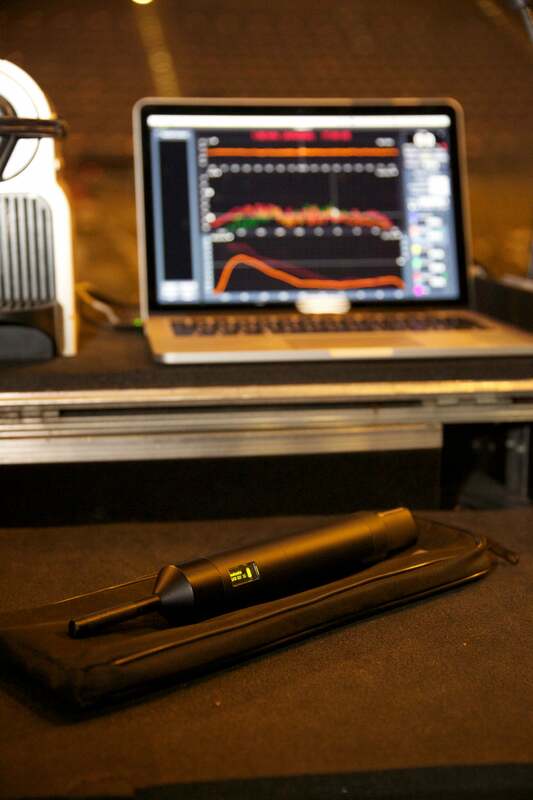 Even before this measurement microphone was officially presented (at Prolight + Sound 2016) Oeckel was exclusively able to work with the combination of the digital wireless system, handheld transmitter and TG MM1w on the Adele tour. 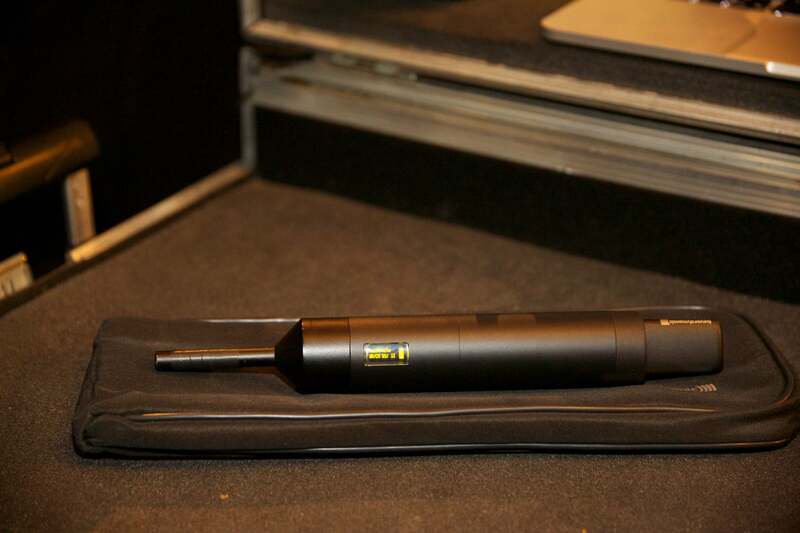 “The TG MM1w has now been on the road with me under tour conditions for nine months and has proven itself as a very precise and extremely robust microphone”, reported the internationally experienced audio system engineer because, before Adele’s world tour, he had been using the beyerdynamic TG MM1w together with the TG 1000 system on tour with Mark Knopfler and was thus able to give the developers useful feedback based on his experience.